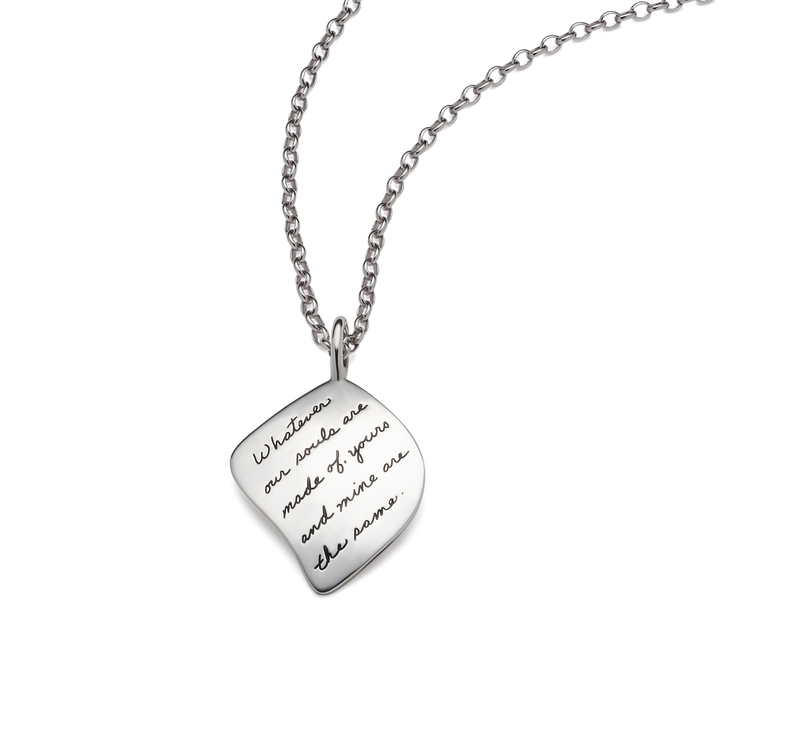 An engraved love note kisses this elegant sterling silver petal. It reflects your relationship's blooming beauty. The quote from Emily Bronte’s Victorian classic, Wuthering Heights and the charm’s elegantly curved lines inspire romantic thoughts. We engrave the quote with Jo Becker’s distinctive handwriting and polish each pendant by hand. The necklace makes a meaningful present that your love will treasure for years to come.